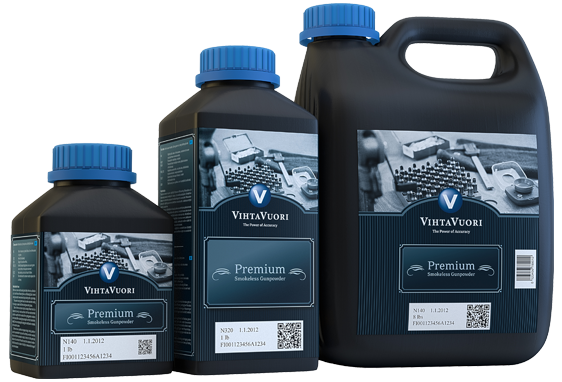 For almost a hundred years, Vihtavuori powders have formed the heart of many of the world’s most renowned cartridges. Reloaders know they can trust in the performance and uniform high quality of Vihtavuori powders – cartridge after cartridge – to create a perfect product for successful shooting. When choosing Vihtavuori powders you know your ammo is up to the task, even in the toughest conditions. Vihtavuori is known for producing high quality propellants with reliable ballistic performance, long shelf-life and wide variety selection. All of our gun powders meet the strict requirements of both civilian and military needs. Manufacturing propellants entirely in-house ensures their high quality. All Vihtavuori powders are made using nitro-cellulose produced by cotton linters at our own plant. Vihtavuori rifle and pistol powders deliver consistently flawless firing performance – for you this means reliable reloading and ammunition you demand. Each stage of the production process is subject to stringent quality control by the Vihtavuori experts to ensure that each production lot has the exact ballistic performance required. Each and every batch produced is inspected by comparing them to selected reference batches. All Vihtavuori powders for small arms are extruded propellants. Propellant grains are perforated cylinders of various sizes, flat ribbon flakes or other shapes extruded for special applications. The grain geometry of different gunpowder types provides the wanted combustion characteristics for the chosen cartridge application. The estimated shelf-life of Vihtavuori gunpowders is a minimum of 10 years, if stored and sealed in its original containers at a temperature circa 20°C and relative humidity of circa 55 %. If you are making a special journey to purchase powders please check with us for stock levels as they change daily -FAC/SGC REQUIRED. RIFLE POWDERS 3.5 Kg CANISTERS. If you are making a special journey to purchase powder please check with us for stock levels as they change daily.